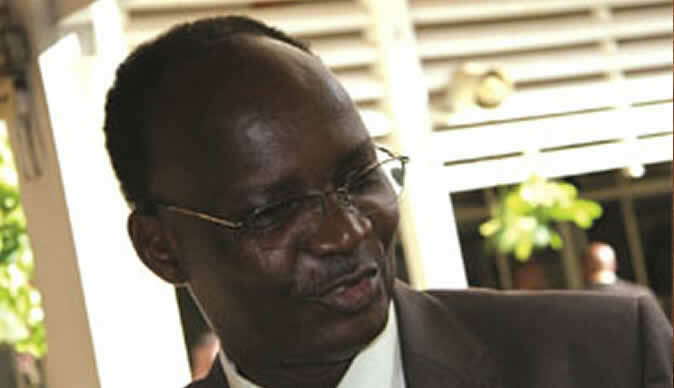 FUGITIVE politician Professor Jonathan Moyo, who was slapped with a $5 million defamation suit by Vice President Constantino Chiwenga, has a case to answer and must face civil trial, the High Court has ruled. Chiwenga is suing over a press statement issued by Prof Moyo in July 2017, insinuating that he did not earn his doctorate degree with the University of KwaZulu Natal, but instead, someone authored the thesis on his behalf in fulfilment of the programme. Prof Moyo's bid to avoid trial failed yesterday after Justice Thompson Mabhikwa threw out his application for exception with costs. In the application, Prof Moyo had argued that Chiwenga's summons and declaration were vague and embarrassing. Justice Mabhikwa ruled that the claim was reasonable, clear and unambiguous. He said Prof Moyo must defend himself in a civil trial. "It is this court's finding that anyone reading these documents (defendants' papers included), cannot claim to be disillusioned as to what damages are claimed," ruled Justice Mabhikwa. "The claim is for defamation damages clearly as opposed to adultery damages, damages for loss of earnings or any other damages. The exception is dismissed with costs of suit. Defendant to file his plea within 10 days of receipt of this order." Top Harare lawyer Mr Wilson Manase and Mr Wellington Pasipanodya of Manase & Manase Legal Practitioners are representing Chiwenga while Mr Chris Mhike of Artherstone & Cook is defending Prof Moyo. Prof Moyo issued the statement on July 9, 2017 and it was published on various media platforms, portraying the VP as a dishonesty person who cheated to get the PhD qualification. Part of the press statement deemed to be defamatory read: "Finally, I'm happy that Chiwenga wants pre and post-independence disclosures about who was who, who did what and so forth. That's good. Meanwhile, I take that to mean he wants the disclosure of who contributed what to his doctorate and who really wrote his KZN PhD. Again, the Shona wisdom that kunyarara kurinani pane kutaura, (keeping quiet is better than talking) applies. #Handeitione." Chiwenga, through his lawyers Mr Wilson Manase and Mr Wellington Pasipanodya of Manase and Manase Legal Practitioners, argue that the statement was highly defamatory of him and he is entitled to the damages. The lawyers argued that the words were wrongful and that Prof Moyo only sought to soil his good name. "The words in the context of the article are wrongful and defamatory per se of the plaintiff in that they were intended and understood by readers to mean that the plaintiff lacks integrity, is dishonesty, deceitful, and fraudulent in that he never made a contribution towards his post-graduate doctorate studies from the University of KwaZulu-Natal, and that another person wrote the thesis as a fulfilment to his doctoral studies," reads the plaintiff's declaration. Gen Chiwenga contends that the same words can be taken to mean that he plagiarised and violated the research methods at the university, which is an act of misconduct. "Apart from the defamatory statement was an intention to convey an innuendo that the plaintiff is in fact, dishonesty, deceitful and given the fraudulent behaviour, that his academic post-graduate Doctorate in Philosophy qualification from the University of KwaZulu-Natal is an academic fraud," reads the declaration. Chiwenga, who was the military boss, is a decorated liberation war hero held in high esteem locally and regionally, suffered severe damage to his reputation and moral standing, the lawyers argued. To that end, the VP is claiming the $5 million plus interest. He is also seeking an order for costs on a punitive scale against Prof Moyo. Prof Moyo's press statement appeared in various publications like daily and weekly newspapers and other media platforms that are widely read world over. The contents of the statement were quoted and published in The Herald, Chronicle, newzimbabwe.com, Zimeye and various social media platforms.